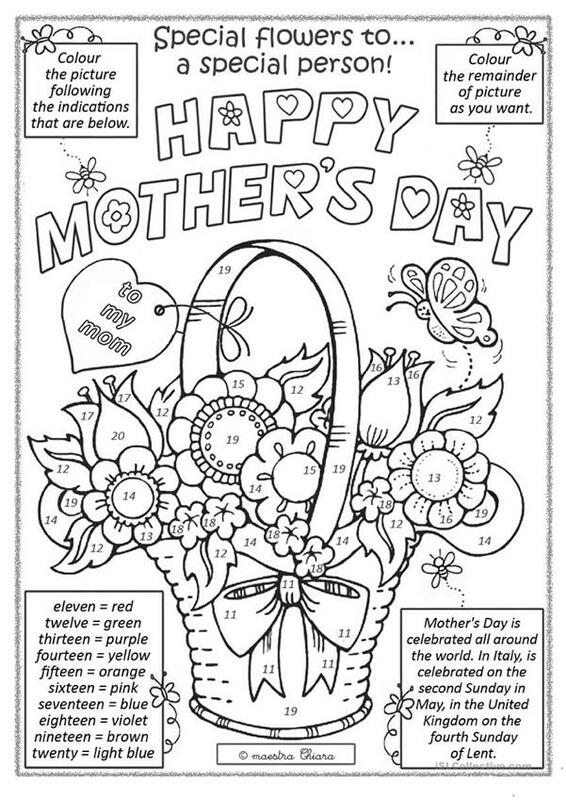 Mother´s Day activity: my little ones like this activity and so they practise numbers and colours: Have a good week! The above downloadable worksheet is intended for elementary school students and students with special educational needs, learning difficulties, e.g. dyslexia at Elementary (A1) and Pre-intermediate (A2) level. It was designed for strengthening your learners' Reading skills. It features the topic and words of Colours.